Incoming Email Filtering filters all inbound email and eliminates spam & viruses before these threats reach your network at a nearly 100% accuracy rate. 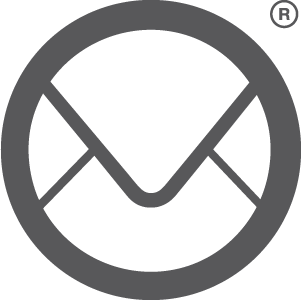 Email Archiving preserves and protects all inbound and outbound email messages for later access. It is a great way to recover lost or accidentally deleted emails, accelerate audit response. Outgoing Email Filtering is vital to safeguard your IT infrastructure reputation and ensure all your outgoing email arrives safely where it should. The emergency service is available for a single one-off fee, there’s no recurring fees or subscription. We’ll continue to monitor your site for 7 days to ensure that your site remains malware-free post recovery. An extra protective layer of incoming filter to your email flow and infrastructure adds redundancy and continuity to your email delivery process. When the destination mail server is unreachable, SpamExperts filtering systems queue inbound email. With our highly efficient first-level incoming filter defence running in front of your mail infrastructure, you will no longer need to deal with vast amounts of incoming email spam. The implementation of SpamExperts Outgoing Filter will help you get rid of network weaknesses and will cut the time spent with delisting to a minimum. We provide pre-built add-ons to fully integrate the Outgoing Filter with major control panels and other email collaboration tools (cPanel, Odin Service Automation, Plesk, Direct Admin, ISPsystem and Open-Xchange). Do not hesitate to contact us for any question you may have. We are here to advise you on any inquiry. Snet IT Services is committed in protecting your privacy. This privacy statement applies to the data collected by Snet IT Services through this website and are being kept for 30 days. We use widgets like YouTube and Vimeo videos, Google Maps, Facebook and Twitter timeline. While all of these third party services enrich our websites, they also do collect data from users. IP addresses, location data or user activity tracking. Respecting GDPR it is necessary to ask all our visitors for your explicit consent if data should be passed along to third parties.